The Bagelry is a Bellingham institution and they are very vegan-friendly. 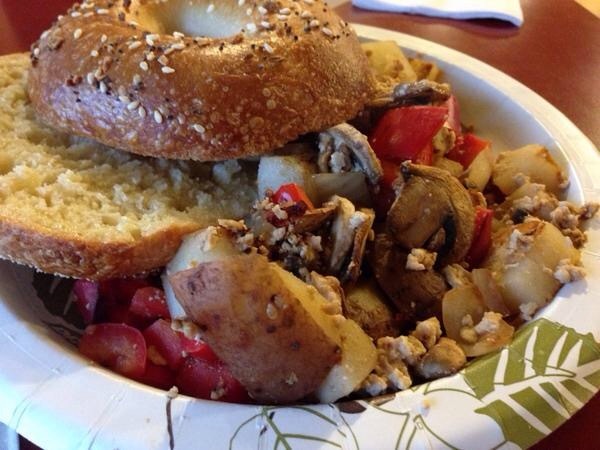 The Bagelry offers both vegan breakfast options and vegan lunch options. 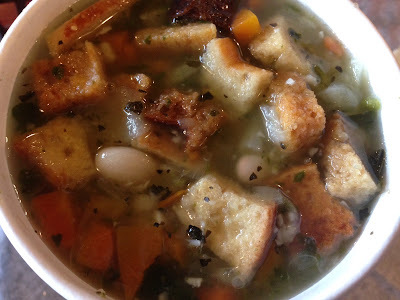 They always have at least one vegan soup and their soups are delicious. They even have Earth Balance butter and non-dairy milk for your coffee! I love this place and am so glad they are in Bellingham. I didn't know that The Bagelry was vegan--good to know. I haven't gone back since going vegan because I made an assumption. I was so surprised to find out about the breakfast options. I am looking forward to trying that out too sometime soon. And trying out their other soups, yum! 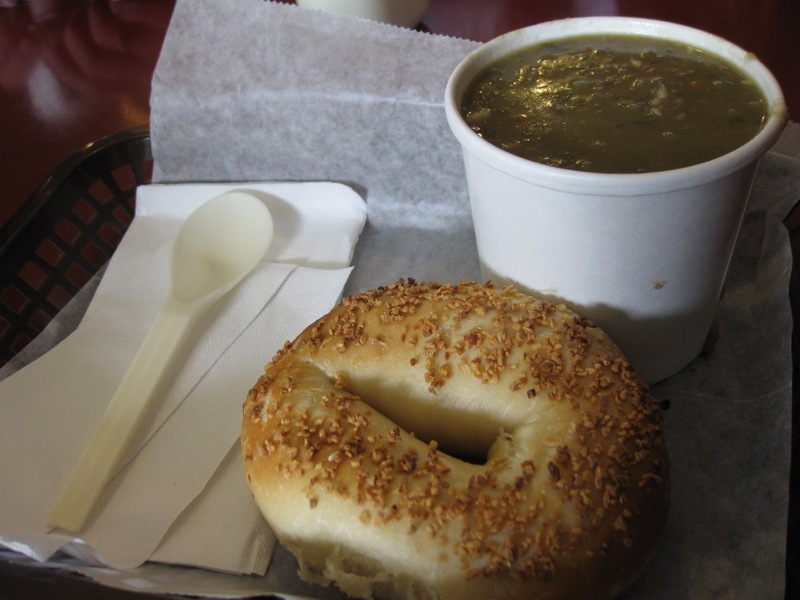 Do you know if the sugar they use in their bagels is vegan-friendly too? They also have fresh local clover sprouts form Happy Valley Sprouts! Do you know if they have the ingredients for their bagels listed anywhere?